THPBlog: Sierra Pacific Industries to clearcut log near Ballard Reservoir and the community of California Pines. Sierra Pacific Industries to clearcut log near Ballard Reservoir and the community of California Pines. THP 2-13-088 MOD (Cool Baggett THP) Sierra Pacific Industries, 649 acres; 99% clearcut, 1% roadside logging. Bagget Gulch, Ballard Reservoir (MD: T41N R9E Sec.24, 25; T41N R10E Sec.17, 18, 19, 20, 21, 22, 27, 28, 29, 30). Winter operations, moderate erosion hazard, slopes up to 50%, herbicides, impaired 303.d watershed, 2 goshawk territories, bald eagle nest within .5mi, golden eagle sightings, osprey nest within 1.6mi, scattered large trees. Estimated public comment deadline: 12/12/13. 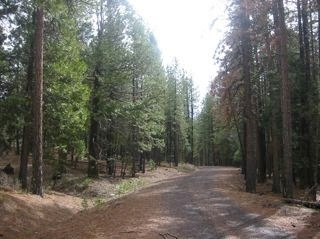 This THP is about 14 miles SW of Alturas, CA and about 3 miles south of Canby, CA near Ballard Reservoir and the community of California Pines. Sierra Pacific Industries is planning a mostly clearcut tractor based logging operation in ponderosa pine, incense cedar, white fir, Jeffrey pine and western juniper forest at an elevation of 4,600 to 6,120 feet. They also want to use of an existing road inside a class II watercourse. An active goshawk nest was reported to be nearby in section 35 on USFS land, and a golden eagle territory was reported to be in section 12. There is a bald eagle nest at Ballard Reservoir, .5 miles from the THP area, and an osprey nest at White Reservoir, 1.6 mi from the THP area. More information is available on the THP Tracking Center website.